Marriage includes a “conscious” and “subconscious” search for love, happiness, and longevity. It is implicit in the bond of marriage as the loving couple recites the marriage vows, solemnized by one who represents the spiritual or civil aspect of the wedding, and witnessed by a throng of family members, friends, and well-wishers. “A man leaves his father and mother to get married, and he becomes like one person with his wife” ― Ephesians 5:31 (CEV). The traditions, counseling, the marriage “vow,” and the life of marriage come from “love,” the love (agápē) of God. The husband and wife are co-equals, though some roles and responsibilities in marriage are shared, unique, and dissimilar, founded upon universal principles of love, care, and longevity of the marriage. The love of God that transcends natural love among people is the “bond” that ultimately holds the marriage together. Without love, which is a “reciprocal affection,” no relationship can flourish. Traditional Hindu wedding ceremonies have many elements and rituals. Technically, there are no “vows” in the Western sense, but the Seven Steps, or Saptha Padhi, around a flame (honoring the fire god, Agni) spell out the promises the couple makes to each other: “…Let us take the fourth step to acquire knowledge, happiness, and harmony by mutual love and trust…” “Let us take the sixth step for self-restraint and longevity…” “Finally, let us take the seventh step and be true companions and remain lifelong partners by this wedlock” (https://www.theknot.com/content/traditional-wedding-vows-from-various-religions). People marry for love, companionship, and family. Most, if not all, marriages begin with the notion that it is a lifelong commitment by the couple. However, based on available statistical data, the trend seems to indicate that many marriages fail to deliver longevity and happiness, which are implicit in the wedding vows. The probability of a successful marriage should increase when the couple seeks professional counseling before they exchange wedding vows. Marriage is a “Happiness Contract” that is underwritten by our birthright to be happy. Failure to uphold the agreement can spell trouble for the marriage partners. Marriage is more than two people living in harmony. It is the first institution of “altruistic” love. Regrettably, many marriages end in separation and divorce, often resulting in unhappiness for the spouses and their offspring. Nevertheless, many divorced couples often move on and live happy lives, even with children in blended families. 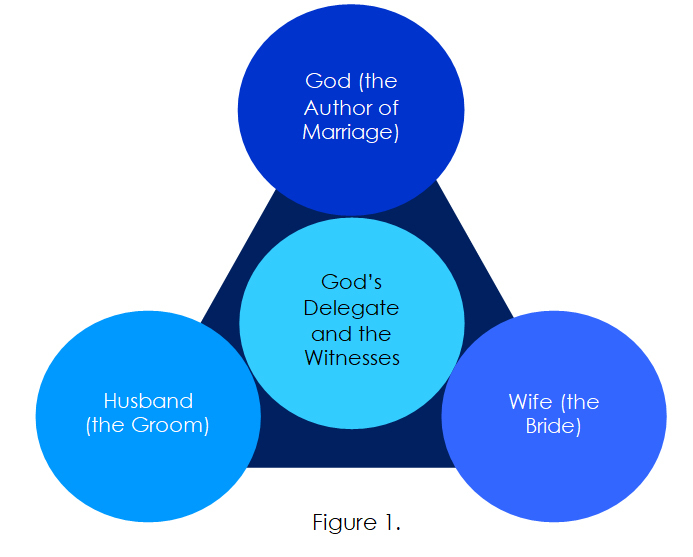 God is the “Author” and co-partner in the marriage relationship (Reference: Figure 1). For better or for worse, many of us get married; hence, the critical need to strengthen the institution. The biblical (religious) view of marriage affirms the presence of a divine element in marriages. The couple must differentiate the wedding sacrament from the wedding. His representative officiates in the capacity of “spiritual” and “civic” authority to perform the sacrament in the presence of witnesses. The witnesses become a testimony to the wedding “vows” that the married couple exchange as a public declaration. The wedding sacrament solemnizes and symbolizes a couple’s commitment. Marriage represents a unity of mind, soul, and body; it likewise involves an understanding of God’s purpose for the spousal union. Husbands and wives are no longer two but one flesh (Matthew 19:5). These five biblical principles for unity, stability, and longevity in marriage are intrinsic to the union; form a Biblical perspective, they represent the first set of building blocks upon which marriage stability rests, and the foundation to establish happy families. Other systems of belief, religions, and cultures subscribe to other perspectives to keep and maintain their “bonds of marriage,” but the desire is the same for most, if not all married couples. Some follow the wedding customs of their particular faith while others may not follow any wedding traditions. The principle of COMPANIONSHIP affirms, “I am alone without you.” I am unable to achieve my fullest potential in life without you. With you in my life, I can experience the oneness of “heart” and “head” working together to achieve “our” fullest potential. The words us and ours, best describes our companionship as opposed to my, or mine. The principle of PROCREATION affirms that children are a gift from God to parents (Genesis 1:28). Children are the fruit of the womb as His reward (Psalm 127:3). Children replenish the earth (Genesis 1:28). Children in the lives of parents ought to make a family happy. Happy children bring joy into the lives of their parents, but children do not grow to become productive, creative, and happy adults naturally, parents must create the nurturing environment for them to flourish — happily. 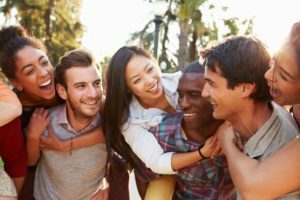 These five fundamental principles help the married couple to build bonds of friendship and a healthy relationship based on mutual needs, hopes, dreams, and aspirations. 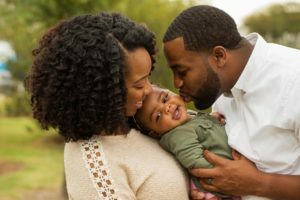 These five relationship bonds underpin the mutual expectations of the married couple, but the natural desire for human companionship will prevail in spite of the domestic violence, “irreconcilable differences,” and communications breakdown. In marriage, as in all relationships, the “power of dialogue” creates opportunities to build mutual trust and friendship. Ideally, the right starting point for couples contemplating marriage is as follows: “Increase the dialogue, increase the happiness.” “Increase the loyalty, increase the happiness.” “Increase the friendship, increase the happiness.” “Increase the love, increase the happiness.” Following are twenty key points for dialogue to help create unbreakable bonds for a healthy and happy marriage relationship and the family foundation. Understand God’s plan for the marriage. Foster loyalty and fidelity in marriage. Engage in long-term family planning. Support each other’s career goals. Build each other up spiritually. Share responsibilities in the home. 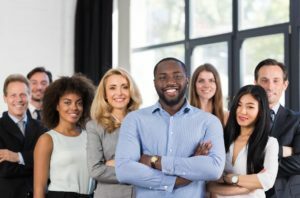 Mutually agree on work–life issues. Accept responsibilities within the family. Practice financial management and budgeting. Plan for the future care and welfare of children. Create plans for family vacations, rest, and relaxation. Discuss issues openly and with empathy for each other. The ability to understand and manage these twenty key points for dialogue in marriage will increase the probability of fidelity, longevity, marriage success, peace, and happiness. Some married couples take for granted that merely maintaining the marriage relationship equates to a successful marriage. Marjorie and I have discovered that one of the most important human attributes that help to sustain all human relationships is LOYALTY.